We are especially mindful of our Brigidine Sisters, their families, friends and past pupils in New Zealand as they celebrate the signing of the Treaty of Waitangi which is the founding document of New Zealand. 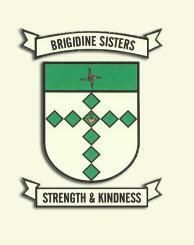 The first Brigidine Sisters began their mission in New Zealand in Masterton in 1889. Since then Brigidines have lived and ministered in a number of different schools, parishes and other communities. Today they continue to live in the spirit of Brigid of Kildare, reflect the values of Daniel Delany and pray and take action in the footsteps of Jesus. and the wisdom of God uphold you. and the love of God inspire you. continue to be a blessing for you, your fellow citizens and all who visit your beautiful country.